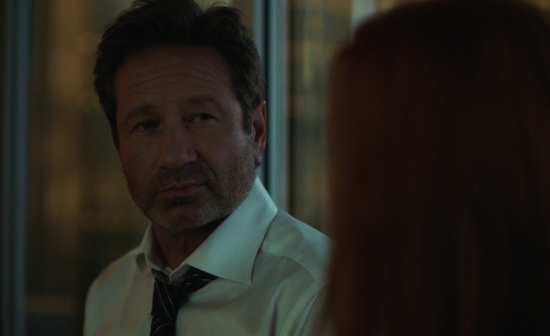 The X Files was a classic case of a show outliving its welcome, with six decent seasons of sci-fi drama preceding three seasons of spiralling decline. By the time the show went off the air, it was more a relief than a disappointment. When the news came that they were reviving the show after some fourteen years, I was sceptical to say the least, but in the end, I quite liked The Event season of six episodes, almost a pilot mini-series testing the water to see if the public were ready for another dose of the weird and the conspiracy theories. For me, the Chris Carter penned conspiracy episodes that book-ended the series were on a par with the worst of the original TV show, but the four stand-alone episodes in-between were among the best, effortlessly recapturing the weird, the spooky, the fantastic and the funny in the same way the original series did. It was good enough to make me look forward to season 11 when it was announced, and I was certainly excited at the prospect of 10 episodes instead of six for the run. But by the end of the series, Gillian Anderson had announced that she was quitting the role, and at this time, the prospect of more X Files is bleak indeed. But the question is after season 11, would we actually want any more? Fox Mulder and Dana Scully spent 9 years together on the X Files, that department in the FBI devoted to investigating the strange, the paranormal, and the supernatural, that which couldn’t be defined by conventional means. For Mulder it was a personal crusade motivated by the abduction of his sister Samantha, and his investigations scratched the surface of a far reaching conspiracy, investigations that soon became personal for Dana Scully as well, after she too was abducted. But the X Files were shut down in 2002. They resumed when the host of an online conspiracy show uncovered a new layer to the dark scheme to determine the future of humanity, and as the previous season ended, it looked as if that plan had finally come to pass. 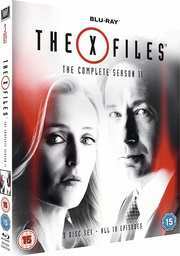 Season 11 of the X Files has 10 episodes plus extra features spread across three Blu-ray discs. About that cliffhanger... the pandemic end of the world scenario, Mulder at death’s door, the UFO hovering overhead, you can forget all that, as Scully has had a brain twitch that rivals Bobby Ewing exiting a shower. 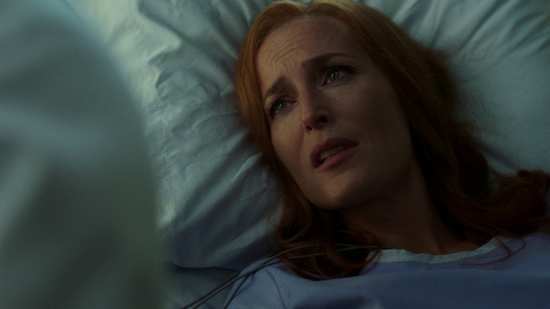 When she awakes from her dream filled coma, she takes it as a premonition of things to come, and tells Mulder that the only way to save the world is to find their son, William, who they gave up for adoption years previously. But they aren’t alone is seeking the boy. 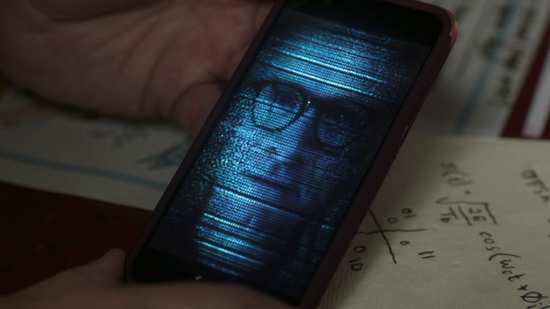 It’s not every day that you get a phone call from beyond the grave, but that’s exactly what happens to Mulder when Richard Langly’s face appears on his smartphone. Langly died with the other Lone Gunmen when they defeated a plot to unleash a deadly virus. 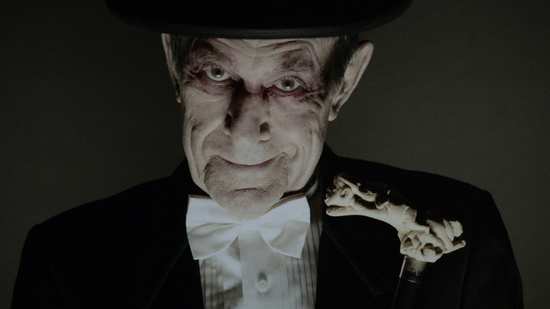 But now he’s calling for help from the afterlife, which he says isn’t all that it’s cracked up to be. They say that should you see your doppelganger, then one of you is fated to die. But when there is a spree of doppelganger related deaths, that sounds like an X File. The sole survivor isn’t exactly a reliable witness, and it seems that mental instability was a common trait among the victims. While at the psychiatric hospital, Mulder and Scully encounter a patient that likes playing hangman, with her twin brother, telepathically. And some of the games have the victim’s names on them. The Mandela Effect refers to those false memories that many of us have, often regarding nostalgia for a childhood that never quite happened the way it did. But the Mandela effect may be getting out of hand when Mulder and Scully are confronted with Reggie, the third member of the X-Files department that neither of them have any memory of. Two girls shared a vision that led them to a derelict ship, where they both encountered a monster which they were compelled to fight. Both wound up in the hospital having inadvertently tried to kill each other. The odd thing is that Scully shared this vision as well. This might be the key to finding her son William, long ago given up for adoption. But Scully and Mulder aren’t alone in seeking William. 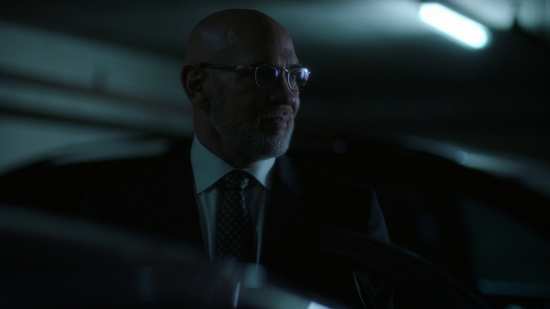 Assistant Director Skinner has gone AWOL, and before Kersh brings out the big guns, he gives Mulder and Scully one chance to find him. He’s not in his apartment, but there is a package with desiccated ear from a town named Mud Lick. Someone in that town is reliving the horrors of the Vietnam War, and Skinner’s caught up right in the middle of it. Mulder makes the mistake of not tipping the robot waiter. When the restaurant is automated, the cars self driving, you rely on sat-nav, live in a smart house, where tech support and customer service is a machine on the other end of the phone, should you be surprised that the AIs get unionised? A small insular town falls victim to a child abduction and murder. Scully and Mulder investigate to find lies and adultery, devilry and witchcraft, paedophilia and mob justice, and the creepiest ever children’s TV character. A macabre crime scene draws Mulder and Scully’s attention. The corpse on the operating table was a victim of organ harvesting. The corpses on the floor were the butcher surgeons who were doing the harvesting, and it seems that someone has inflicted a righteous wrath upon them. The clues lead to a cult of eternal youth. The time of reckoning is at hand, and the fate of mankind hinges on who will find William first. But does William even want to be found, and what will he do to anyone who finds him? The X Files gets a 1.78:1 widescreen 1080p transfer. 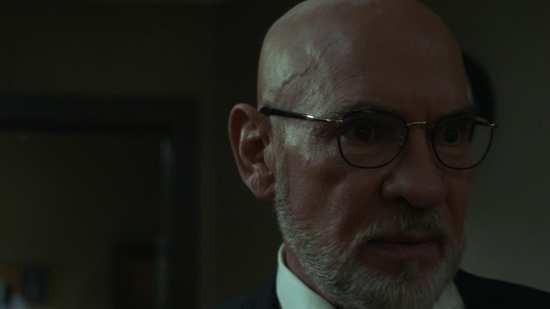 The image is clear and sharp, detail levels are excellent, colours are strong and consistent, and there is no problem here with compression or digital banding, and given the X Files usual propensity for darker scenes, that is very much a good thing. I did have a slight issue with the opening episode, which suffered from some rather jerky pans, but thankfully it was isolated to that episode. This time you get DTS-HD MA 5.1 Surround English, DD 5.1 Spanish, and Portuguese, and DTS 5.1 Surround French, Spanish, German, And Italian, with subtitles in these languages, and Danish, Dutch, Finnish, Swedish, and Norwegian. The audio is fine, the dialogue is clear for the most part, and the action is presented well. Disc 1 has a 5:18 featurette proclaiming the show’s green credentials. Disc 2 has an audio commentary on Kitten with the show’s writer Gabe Rotter, and director Carol Banker. Conversation on the Fox Lot lasts 14:31, and David Duchovny and Gillian Anderson have a chat. The Scully Effect lasts 16:42, and looks at the real world legacy of such an inspirational character. Solve For X: Constructing Season 11 lasts 50:10, and is an overview of these 10 episodes, particularly from the writers’ points of view, with plenty of behind the scenes goodies. Implanted Memories: 25 Years of the X Files lasts 44:57, and the cast and crew are interviewed about their reflections on the series. The Gag Reel lasts 5:29. I had such high hopes after season 10. I’d pretty much given up on the Chris Carter penned, conspiracy/mythology episodes after season 7, but the middle four episodes of season 10 stood up against some of the best episodes that the classic series offered. When season 11 was announced, I was looking forward to some more classic ‘monster of the week’ X-Files. That didn’t happen. 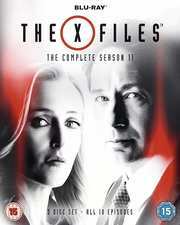 In reality, I found season 11 to be the worst of the lot, a straight run of mediocrity, with only a couple of glimpses of X-Files brilliance. The elephant in the room is the season 10 cliffhanger and its resolution. They hit the ‘it was all a dream’ reset button and went on from there, with no alien invasion, no dying Mulder, no global pandemic. 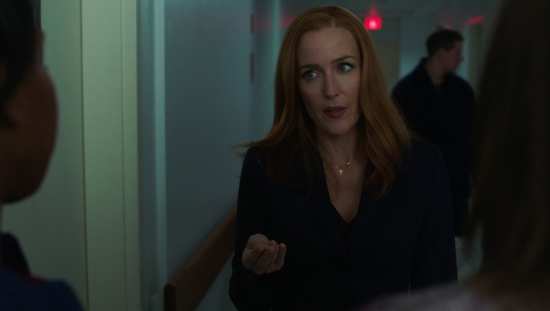 It was all a vision that Scully had, and it was so incoherently put across, that some people, myself included thought that the whole of season 10 had been negated. It took one of the extra features on this disc to explicitly state that Scully’s little trip to fantasy began in the middle of My Struggle II, at the end of season 10. By the end of this 11th season, my feelings about it were so negative, that if there were somehow to be a season 12, I hoped that they’d erase all of this run with another ‘it was all a dream’ escape route, and take us back to that bridge cliffhanger and resume from there. Normally I’d discount the Chris Carter bookends, but it’s worth going into just how poor they are, especially as the bleed through continues through the stand alone episodes. They centre on the character of emo-William, Mulder and Scully’s long lost son, who is as annoying as any teen male TV character has to be, while channelling Tetsuo from the Akira movie. I hardly recognise Chris Carter’s take on Mulder, who has suddenly become this bloodthirsty ball of rage. In two episodes of the X-Files he practically doubles his body count from the whole nine-season run of the original TV series, including one particularly brutal slaying in My Struggle III. Every time he offed a security guard in My Struggle IV, I expected a cut away to a grieving widow receiving the news as in the Austin Powers movie. That final episode ends in the kind of character carnage that feels like a kick in the teeth to long-time fans. And then there are the revelations. CSM is what? Scully is what? I just want the pain to stop. As for the ‘standalone’ episodes, they kept reminding me of better versions of the stories, or offered little niggles that annoyed me. Langly’s return in This, is a twist on The Matrix which just felt tired. 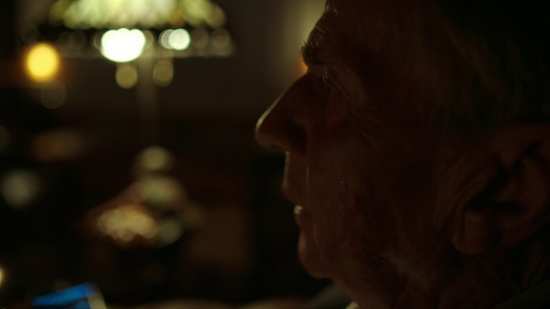 Plus One’s doppelganger idea was a big draw, it felt like a classic X-Files episode, until we found out what was responsible, and then it just felt like a gimmick. 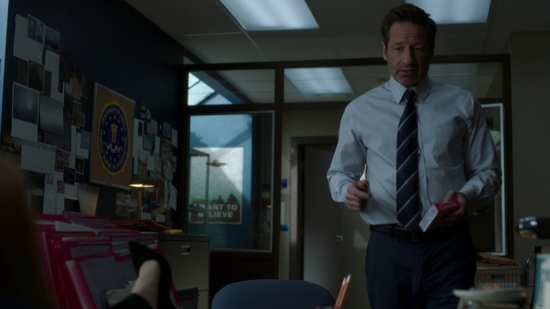 People complained about Mulder & Scully Meet the Were-Monster in season 10, as an overly spoofy deconstruction of the show, but that is the masterful peak of subtlety compared to The Lost Art of Forehead Sweat. I did enjoy Ghouli, despite it being the introduction of this season’s Maguffin, as it was written and structured like the best of the classic episodes. I might have enjoyed it even more if Jackson Van de Camp didn’t turn out to be who he was. Kitten is one of the rare high points of this collection, offering a glimpse into Skinner’s character that was new and refreshing, building on and revealing his Vietnam experiences that we’d only previously heard mentioned in dialogue. 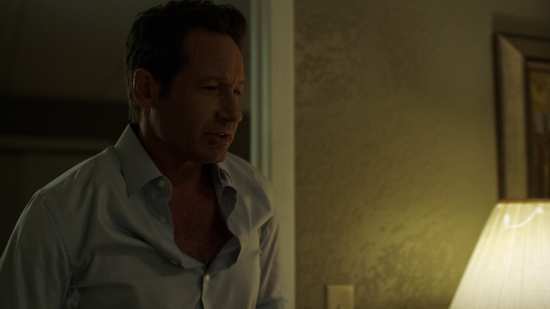 The ‘Terminator’ automation gone mad episode might have worked, were it not that for me, the X Files episodes always took place in the here and now. This is an episode set in a future where self-driving cars have finally been regulated, legalised and introduced. But it’s definitely not in the here and now, and that bugged me all the way through the episode, stopped me from enjoying it. It’s a shame, as it’s a rare, original and inventive episode in this run. Familiar is the other strong episode in this collection, a spooky and chilling story which goes straight for the emotional jugular by telling a story about child abduction and murder. That it plays out like a remake of "Die Hand Die Verletzt” from Season 2 is not much of a problem, as this time it’s used as a platform to comment on what seems to have gone wrong with modern society. But then there is the penultimate episode, “Nothing Lasts Forever”, which instead plays out like a bad Buffy the Vampire Slayer episode. It’s a low note on which to end the standalone episodes, and only worse is to come. 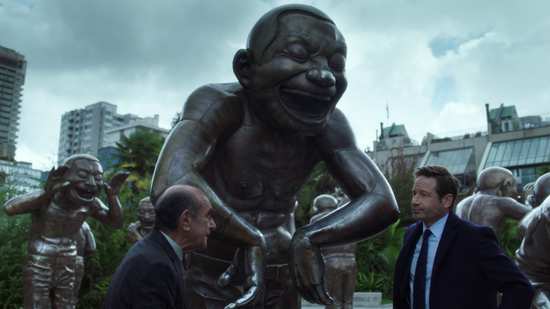 Nothing indeed Lasts Forever, and the X Files is no exception. Season 10, The Event Series was just a statistical aberration. Four great X Files episodes that reminded me of what I loved about the series originally. Most of the episodes in Season 11 actually had me nostalgic for the last three years of the original TV series, as even the most dispiriting episodes from the downward slide of the X Files were better than these. There were a couple of episodes that impressed me, a couple more that were watchable, but that’s it. The only redeeming feature is that Mulder and Scully still have that fantastic screen chemistry. You can watch Season 11 for just that, but not much else.